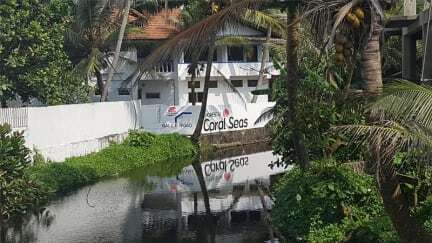 As part of the Coral Seas family, a different type of accommodation for those looking to a more adventurous trip under their own budget, but just 150 meters away from the beach, we offer the Coral Seas Homestay Hikkaduwa. 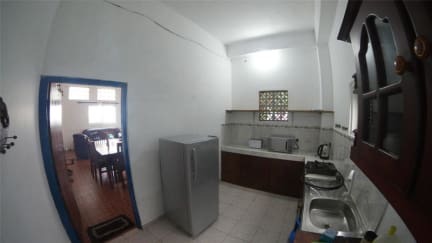 The rooms are equipped with twin single beds and private toilets. You’ll be able to cook your own food, helping keep costs down for your trip. A good option for those on a budget, families and those with special requirements. Hikkaduwa is a great introduction to Sri Lanka. Here has a perfect balance of nature and holidays relax. Also a great place for your last stop in your trip through Sri Lanka. 5. Taxes not included, 11% VAT will be charged when check in. 6. General: Room cleaning all two days. 7. Curfew: 00:00 to 07:00. 8. Reception working hours 08:00-22:00. at our Hotel CORAL SEAS BEACH, 346 Galle Road in Hikkaduwa. Reception and collection of the keys of the Homestay takes place in the Hotel, where the client will be escorted to his room. 9. Any reservation, under the same name or credit card that reserves more than three rooms for the same period of time, will be charged a 30% deposit on advance.